Takuya and Chiharu are two 21 year olds whose colorful outfits easily caught our eye in Harajuku. 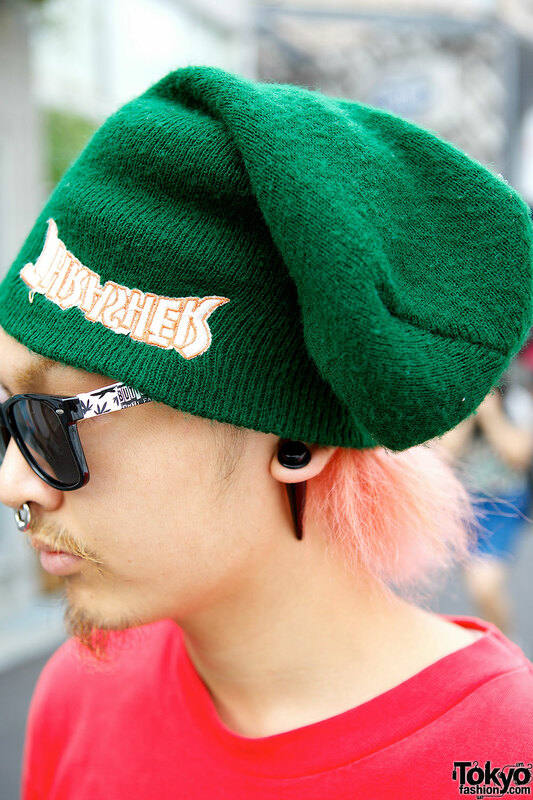 They told us they are both friends/fans of the Japanese skate/surf/street culture collective Tokyo Funks. 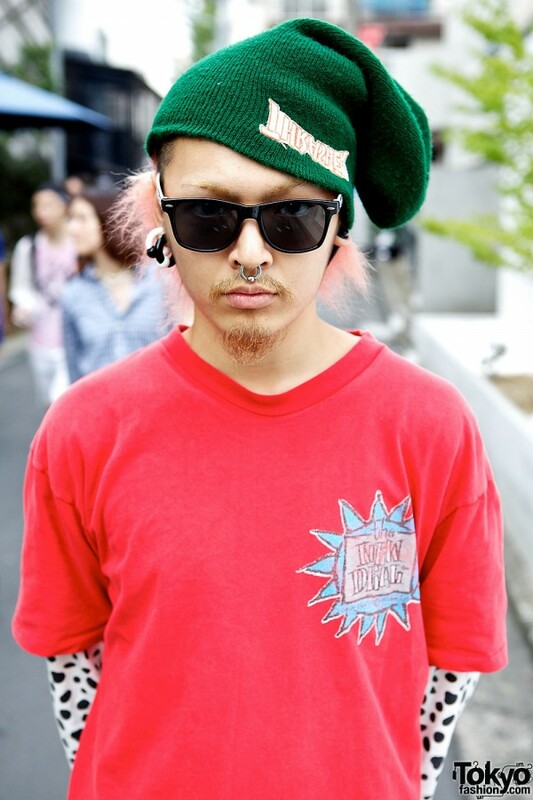 Takuya – with the pink hair and a green beanie – is wearing layered tops from New Deal and Buttstain, with skull printed pants from Life’s a Beach. 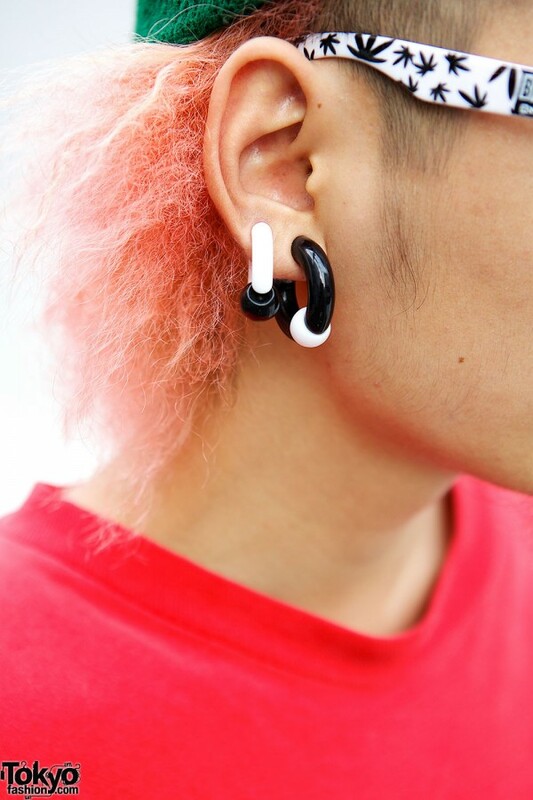 He’s also wearing 1980s Vans sneakers, Buttstain sunglasses, a nose piercing and plastic earrings. He’s active on Instagram. 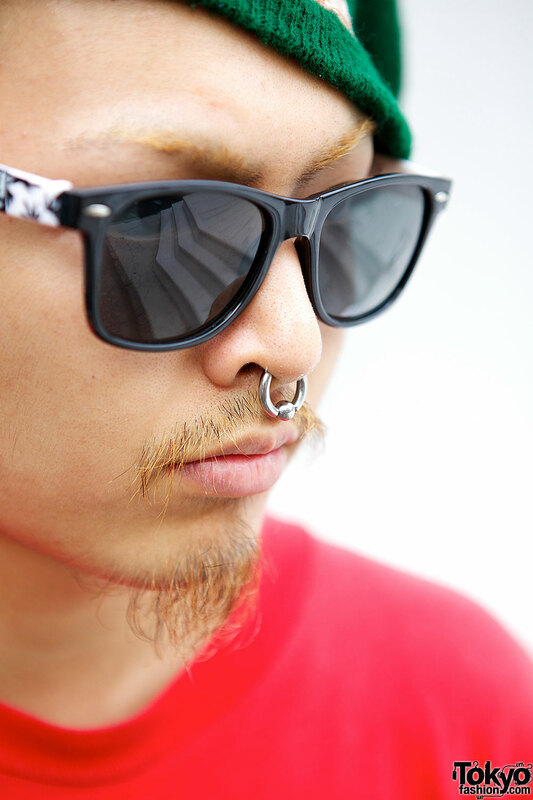 Takuya’s favorite band is Ginnan Boyz. 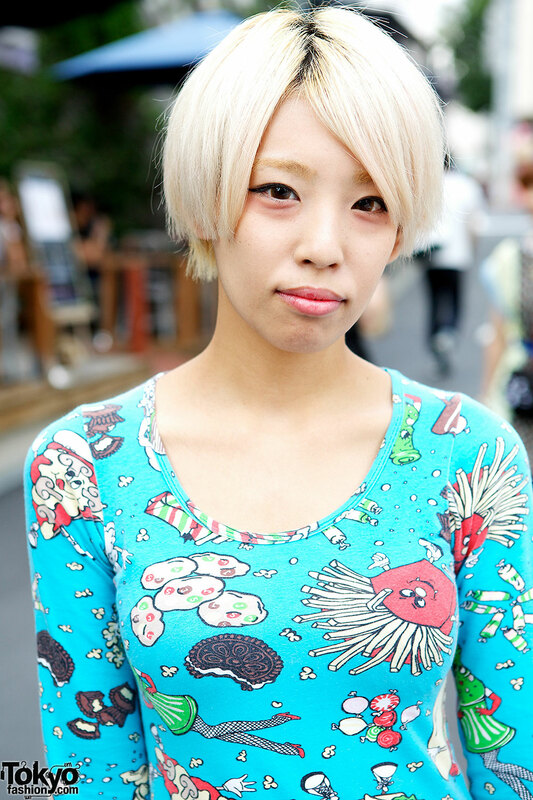 Chiharu works arubaito (part time) and she’s a fan of the legendary 1990s Japanese group Judy and Mary. 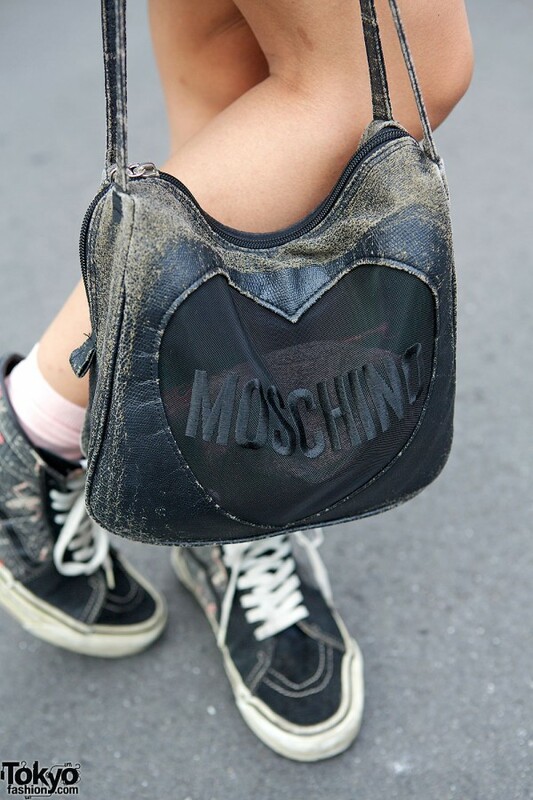 She is wearing a Jeremy Scott food-print dress with a Moschino bag from Monomania and 1980s Vans. You can find Chiharu on Instagram too. Those Vans are perfect <3 !! Also, Takuya's pants are super!